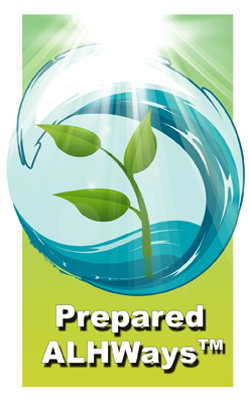 Prepared ALHWaysTM Program Host and Expert Sam Townsend together with Co-Host Kerry Fink, champion Biblical Sustainable Living – embracing healthy living and the means to produce it, no matter what the external economic and political circumstances. Sam Townsend, a “Recovering Banker” who has found a better way, has spent a lifetime learning how businesses, economies and the world work, why they don’t work so well, and what could help them to work better. After serving as President of several high-performance banks, he turned to financial planning, investment management, and consults with a variety of businesses, ministries, households and communities. Kerry Fink, known for successfully developing the Music of Your Life Radio Network onto more than 200+ Radio Stations coast-to-coast, is a media expert. His TYG Media firm is a sought-after Christian Multi-Media Production house, working on everything from Christian Movies to Christian Television/Radio and Digital. Together, they draw on Sam’s decades of study and experience in Biblical Sustainable Living and share that knowledge-base, in a fast-paced and informative fashion, with the growing number of Americans tackling today’s challenges in enjoyable and fulfilling ways.